We have been serving patients in the Chattanooga and the surrounding Tennessee, Georgia and Northwest Alabama area for over thirteen years, and we will continue to ensure that our patients receive the best care that is available today. Other areas we serve includes Cleveland, Crossville, Dunlap, Jasper, Manchester, Pikeville, South Pittsburg, Winchester, TN; Dalton, Fort Oglethorpe, GA and Murphy, NC. 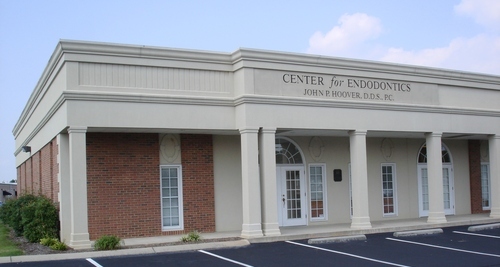 A standard of excellence in personalized endodontic care enables us to provide the highest quality service our patients deserve. We strive to meet your expectations and exceed them. That is why we focus on making your treatment as comfortable as possible. Not only are we focused on making your experience pleasant, we also want to ensure that you receive the best possible care and make your root canal treatment a success. As your dental health professionals, we want you to be confident knowing that we are a team of highly trained and skilled clinicians and staff. We pride ourselves in providing the care you need to restore your teeth to optimal health. To give you the best possible service and results, we are committed to continual education and learning. We attend dental lectures, meetings, and dental conventions to stay informed of new techniques, the latest products, and the newest technology that a modern dental office can utilize to provide state-of-the-art root canal treatment. Also, being members of various professional dental associations helps us to stay abreast of the changes and recommendations for our specialty.